The Westin brand continues to expand its presence on Maui with the recent opening of a vacation ownership property. The Westin Nanea Ocean Villas on Kaanapali Beach held its official grand opening on April 14, with a traditional Hawaiian blessing and ceremony, including a maile lei untying, the Hawaiian version of a ribbon-cutting. The company broke ground on the resort in February 2015, and while the project took more than two years, the opening happened 2.5 months ahead of schedule. 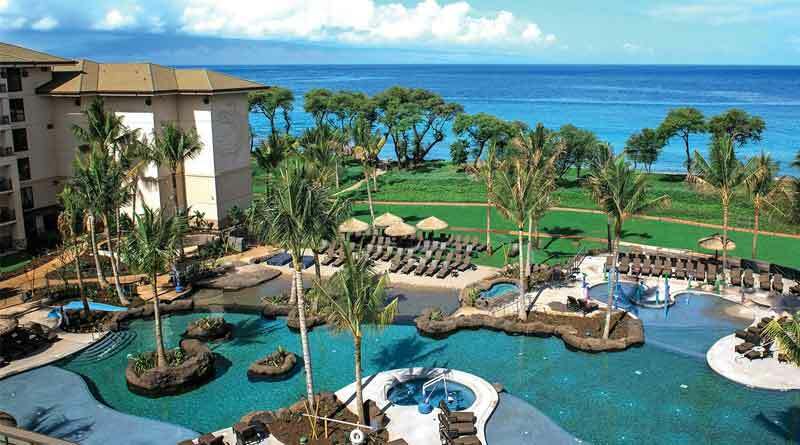 The 16-acre resort with multiple pools, a fitness center and other amenities is adjacent to the Westin Kaanapali Ocean Resort Villas. From the beginning, the Westin Nanea was designed around a mission of showcasing the Hawaiian culture and history. At the center of the concept is the property’s Puuhonua o Nanea Cultural Center and programming organized by the resort’s cultural director, Makalapua Kanuha. The aquatic facilities offer something for everyone. The children’s pool sports a sand bottom, water-spouting animal figurines and water cannons. The main pool is lagoon style, with gazebo cabanas equipped with TVs and safes for valuables. The area also has barbecue pits, and guests can pick up premarinated meats, fish and kabobs in the resort store. The resort restaurant, Mauka Makai, which means “toward the mountain, toward the ocean,” specializes in locally sourced ingredients with a pledge to obtain as many ingredients for the menu as possible from within 20 miles of the property, which includes the islands of Molokai and Lanai. The one-, two- and three-bedroom villas have queen-size sofa sleepers in the living areas, private lanais, full kitchens and washers and dryers. They are equipped with modern touches such as flat-screen TVs and a generous number of outlets for charging personal devices. There is a shuttle between the Westin Nanea and sister property Westin Kaanapali Ocean Resort Villas, and guests of the two hotels have reciprocal rights to enjoy all amenities, including the Spa Helani.